ELI Africa recently launched Positive Psychology class at its teaching center found at Roche Bois. The objective behind the inception of this program is to understand the state of mind of the children, to better assist them in learning and to ensure their well-being. “The children were enthusiastic with the class ”, says Akheel, the program initiator. The first class was based on positive things and story -telling of how to view things. During the first session, the children developed new perceptions about things they would see in their daily life. A half-empty glass was taken and the children were asked to comment on what they are seeing. Obviously the answers were different. 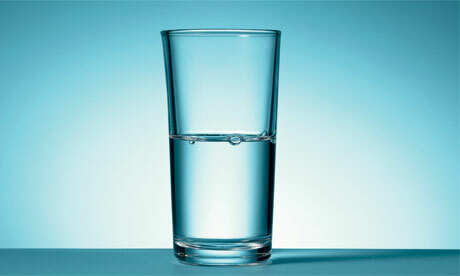 While some said that the glass was half-full others said that it was half-empty. This experiment showed that everyone’s perception differs. Positive Psychology focuses on how to enrich quality of life and optimize individual functioning, in order to create personal and social change while promoting self-realization, human happiness, fulfillment and a sense of meaning. To accomplish these objectives, students are taught how to identify and pursue goals, cultivate positive emotions, identify and pursue personal strengths, cultivate resilience, take care of their physical health, foster healthy relationships, commit acts of kindness, and act with integrity. These holistic practices effectively decrease symptoms of depression and anxiety, reduce school violence; and significantly increase levels of self-esteem, self- efficacy, optimism, and academic achievements. The intervention program also provides a positive synergistic effect on the life of the individual and the community. The power of Positive Psychology to bring positive changes has been greatly acknowledged worldwide. The Maytiv Center, which operates under the School of Psychology, headed by Prof. Mario Mikulincer, Dean of the School and internationally renowned psychologist, was established in 2010 at the Interdisciplinary Center (IDC), Herzliya, Israel by Dr. Tal Ben-Shahar, an eminent Positive Psychology teacher, lecturer, and best-selling author. Maytiv’s goal is to improve the lives of people with positive psychology research-based interventions. Maytiv is dedicated to training the trainers, and empowering these change agents to bring about positive change in their classrooms and communities. At ELI Africa we connect with our students and through the Positive Psychology classes, we hope to enchant them with optimism and encourage them to achieve more! Previous StoryTeaching students in Roches Bois to code Next StoryEski ou koner kot ou manzer sorti?